I’ve been to Thailand five times in the past two years alone so there’s no doubt this is my favourite country to visit. The pad thai, Thai iced teas and water sports keep me coming back, but the only purpose of my trip to Koh Samui this time was to unwind. That’s exactly why we chose Banyan Tree, a high-end resort known to be perfect for relaxing and has their own top-notch spa service too. We spent most of our time hibernating in the resort (best idea!) and so I thought I’d do a detailed review to give you all an idea of what to expect – in terms of rooms, service, activities, spa and food – if you ever plan a similar luxurious retreat for yourself. 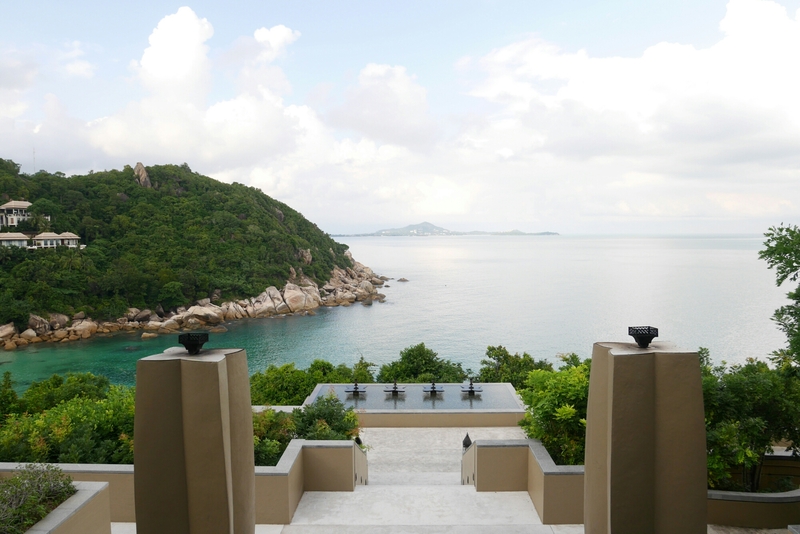 We were greeted with the most beautiful seaview off a cliff at the hotel reception/lobby. The service was expectedly top-notch and maintained at all moments of our stay here. We’d always get what we wanted, including our own yoga mat in our room or a custom ginger orange juice at breakfast. We would always be promptly served with water and ice by the pool and beach. But of course, we are pretty reasonable people, I would think. It was monsoon season when we came (November-December) and conditions at their private beach were not the most ideal. It wasn’t always in the best conditions to swim and there would be some debris in some sections. The sand is coarse at the shore but super soft once you go further out in the sea. It was still nice enough to go for a swim, but we did prefer the pool. 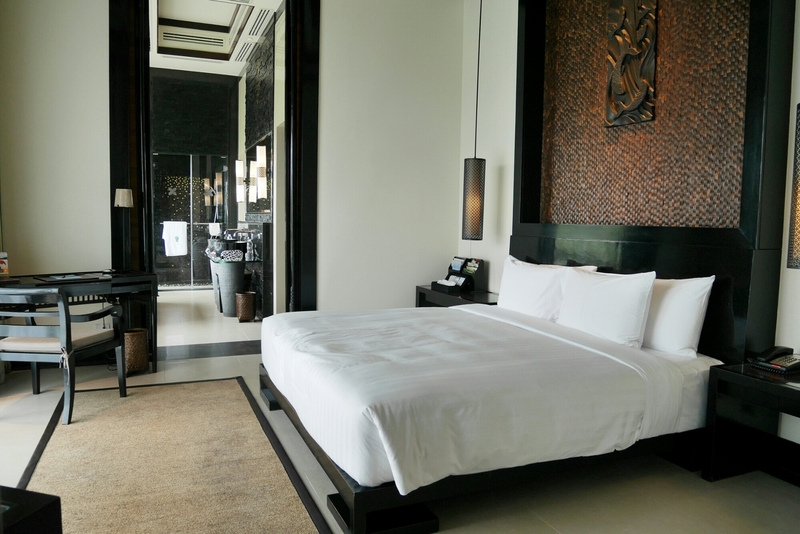 Considering how much one pays to stay at the Banyan Tree, you better make the most out of it by being at the resort for a substantial amount of time. Thankfully Banyan Tree is perfect for that. Apart from the private beach and pool, you can also enjoy a range of activities daily. We tried paddle boarding and also attended a Thai boxing class, which were both extremely fun. They also have kayaks, yoga classes, snorkelling etc. 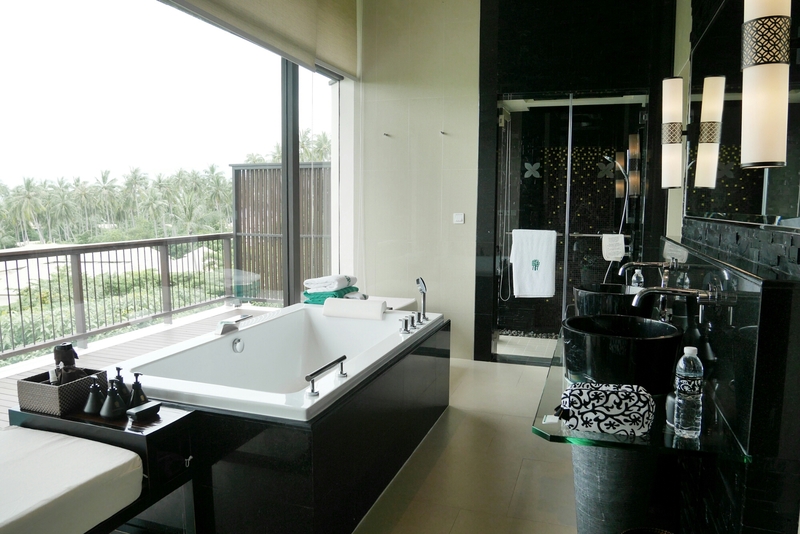 Deluxe Pool Villa – Should you go for a seaview villa? 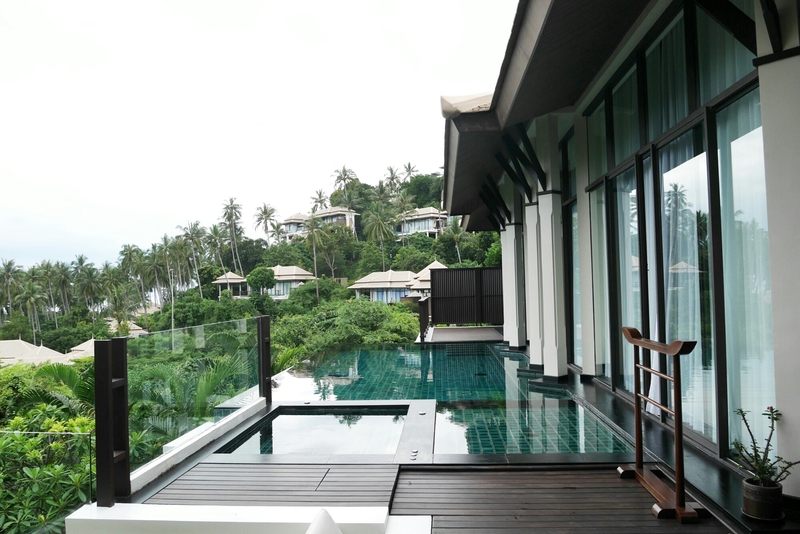 We stayed at one of their Garden view villas equipped with a decently sized private pool. We didn’t get the ones with a seaview because we were honestly paying too much already, the view didn’t seem that essential. In hindsight, a seaview villa would probably have been exponentially more breathtaking and it was only an extra HK$300 per day more. I’m actually still undecided on whether that would be worth it, considering I was already paying HK$3600 per night (excl. tax). What do you think? The villa was not as humungous as it could be, just because Banyan Tree is sort of known for being excessively luxurious. But it was more than spacious and perfectly comfortable for two people. They had the biggest bath tub I’ve seen and the bed of course was excellent. The turn down service was most charming and unforgettable! We would receive two homemade pastries/sweets every night and they would be different everyday: pecan tarts, chocolate tarts, macarons… And they were always delicious! The spa is expensive, extortionately expensive for Thailand. Even in Phuket, one of the more impressive spas I’ve been to cost just over THB4,000 (it was at Burasari by the way) for a three hour treatment. 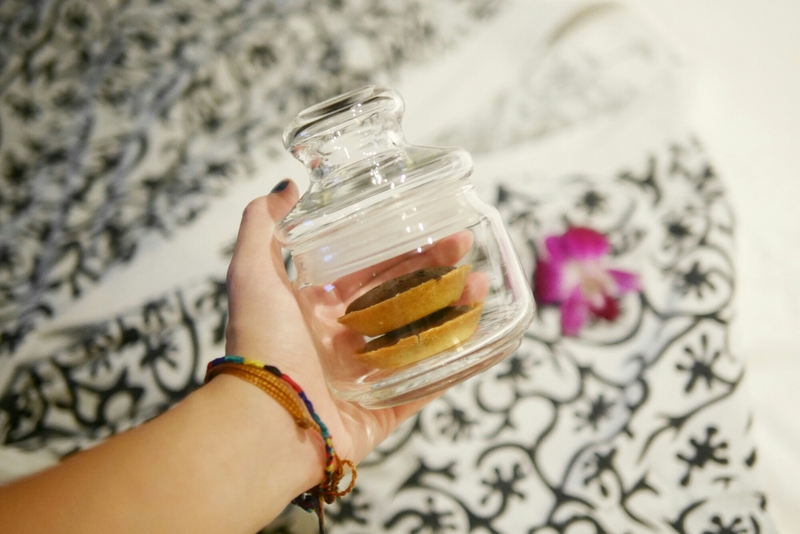 But here, you’ll be paying about THB10,000 for a three hour treatment. Of course, I recognise that this is a bit apples-to-oranges. The Banyan Tree Spa is very luxuriously comfortable and the service is positive, smiley and excellent all the way. There is a wide range of treatment choices: Ayuerveda spa, herbal pouch treatment, Balinese massage, Thai massage, Lomi Lomi (Hawaiian) massage, scrubs, face massage, facials and so on. After two sessions here, we definitely enjoyed the herbal pouch treatment most, it was effective in releasing tension, even from the extremely tight, muscular, inflexible back of my boyfriend – it was the only time ever strong enough pressure was exerted for him. The breakfast buffet was included and was amazing. Again, service at the restaurant was excellent. They served all kinds of eggs (including egg whites) and waffles/pancakes/french toast/crepes. 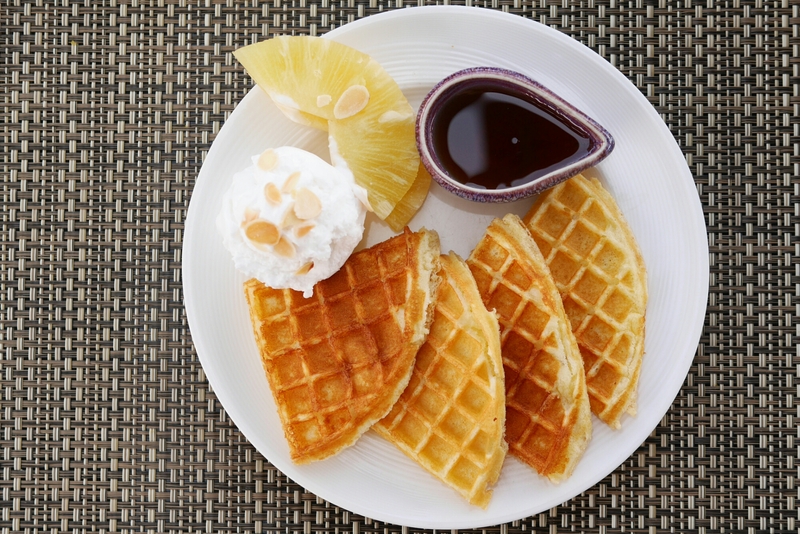 As unhealthy a suggestion it may be, you have to get the waffles and top it with their housemade coconut ice cream! They’ll also always have some Southeast Asian stir fry noodles and curry. They have all the pastries you could ever crave of. They’ve got crispy American bacon and they make it good! But apart from the breakfast buffet, the other food we had around the resort was disappointing. We arrived at 3pm and decided to order room service by the pool. My french toast was lacklustre and boring, while the fries were a tad soggy (probably thanks to the long journey it took on the buggy to my villa). The chicken breast was only passable. My biggest disappointment was with their fancy Thai restaurant, Saffron. It was pretty expensive (about THB2,000 per person) but the food was below average. I’m told that it’s unfair for me to judge because I “go to so many nice restaurants”. But my criticism was simple (and fair, I believe): the food did not taste freshly made. The beef in my beef brisket was tender but the curry tasted warm, and had started to form a dark thick layer on top, as if it had sat in the kitchen for 15 minutes before serving. The signature deep fried squid was ok, but also a tad soggy, as if it had been fried beforehand. Most people are not as fussy as me with food. 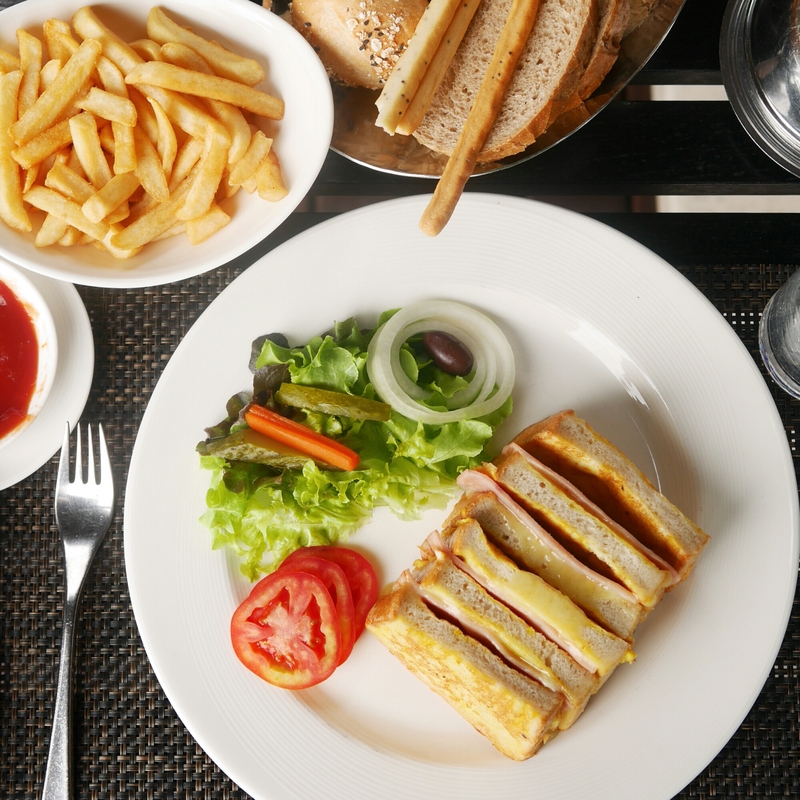 So I’d say you should remain happy eating your room service by the pool, but you should get out of the resort to explore the island a little anyway – so make sure it’s for dinner! All in all, hats off to the staff at Banyan Tree Samui, because the excellent service has to be the most memorable part of our stay. 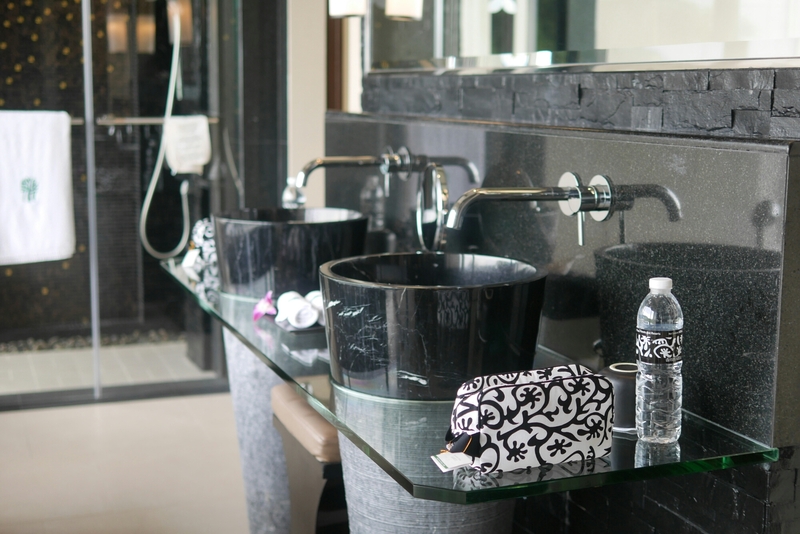 We also loved the facilities that will ensure you be entertained even if you stay in the resort most of the time. The restaurants may need improvement, but at least the breakfast buffet that you’ll most definitely be having, has excellent choices. It costs big bucks but it’s worth staying at. Because of the resort, this was my most perfect relaxing holiday to date. I felt completely de-stressed and more than two of my colleagues commented that I looked refreshed when I was back into work the next day. It’s one of the rare places I will definitely plan to visit again. 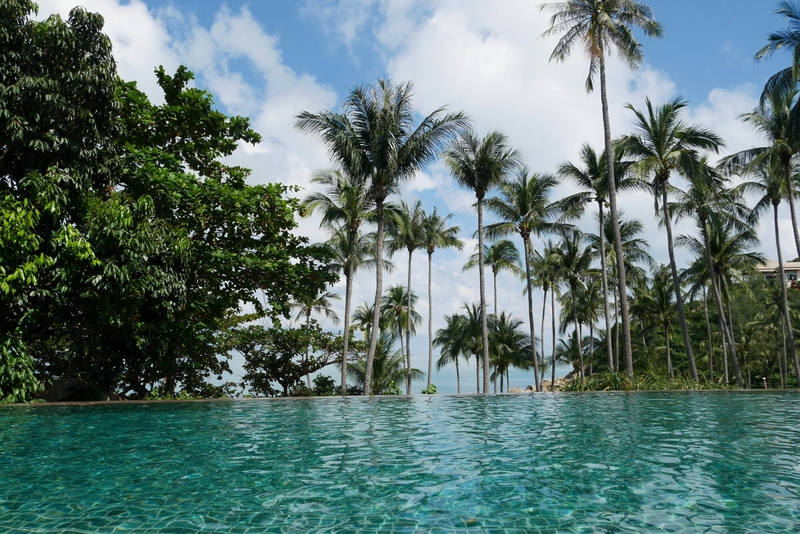 Banyan Tree Samui is located in Lamai (Southern part of the Koh Samui island). It’s about 30 mins drive away from the airport and popular tourist spots like Bo Phut and Chaweng. Prices per night fluctuate massively between peak and non-peak periods. We went in early December and paid HK$3,600 per night (excluding tax, which was about HK$600 per night).